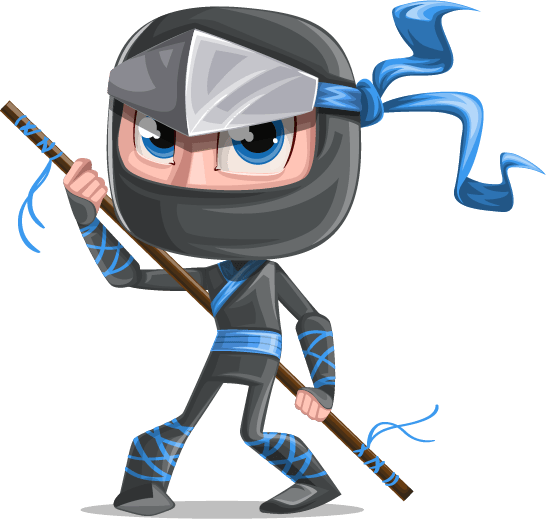 Here is a ninja boy vector character ready to take action. He wears a ninja outfit with blue elemens and holds a ninja bo weapon. His expressive look and pose will bring some accent to your project and will help you boost your presentation. Free for commercial use, with provided editable source files, which allow you to customize the character to your own liking. You can change colors, delete and resize parts.